Christmas lunch and dinner are the most important meals of the year so don’t leave it all up to chance. 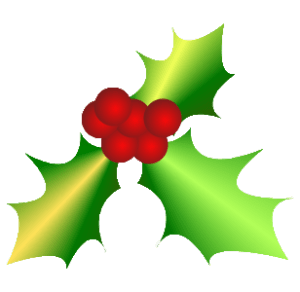 Let us assist you in making the choices which will make this Christmas meal The Best You’ve Ever Had! You have many options available to you, the hard part is choosing. A turkey fillet which you can stuff, roll, slice or dice however you wish. Allow approximately 250g per person. A turkey fillet roll is a fresh pure turkey breast rolled for easy cooking and carving. 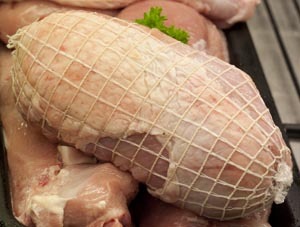 Available plain or stuffed (see below) allow 250g per person. .
What size turkey fillet/roll do you need? A whole turkey. 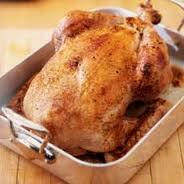 Allow 500g per person – for example a size 5 – 6 kg turkey will feed approximately 10 – 12 people. A turkey buffet which is a turkey breast on the bone with no legs. Allow 500g per person. 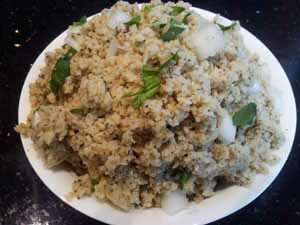 For example a 4 – 5 kg buffet will feed 8 – 10 people. 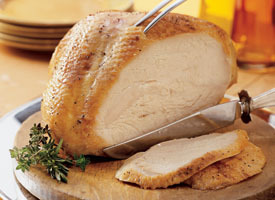 All turkeys and turkey fillets are certified free range and are exclusively provided to us by Numurkah Turkey Supplies. We are the only retails outlet who stock 100% Numurkah birds and fillets. Cooking instructions for all the turkey products will be available upon pick up of your turkey order or they can be downloaded here. Who knows what a TURDUCKEN is? and who wants one for Christmas? The name turducken comes from turkey, duck, and chicken and is a three bird roast. Let your taste buds enjoy this poultry feast of epic proportions this Christmas. Yes, it’s a turducken we oh so highly recommend. A turducken is a completely deboned turkey stuffed with a de-boned duck that’s stuffed with, yes, a de-boned chicken. There are no bones – it’s all meat, layered at each layer with a choice of one of our very own homemade stuffings (as outlined below). It’s as simple as placing an order and impossible to resist. What an event it would be on your table at Christmas time! 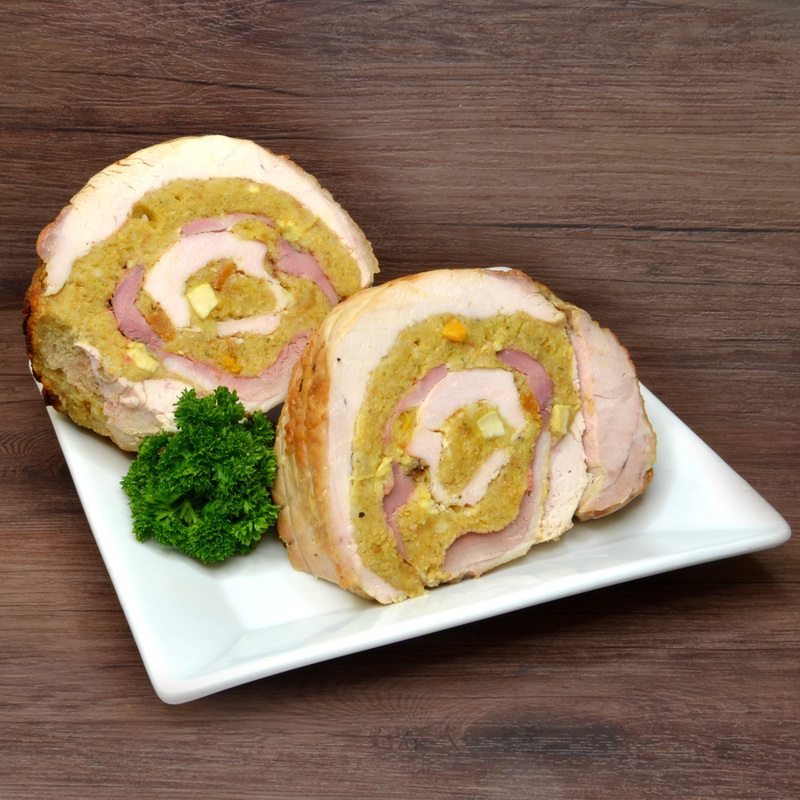 (or anytime for that matter – what, a Sunday roast and you present a turducken, it’s unheard of….until NOW). You will be famous for presenting this at Christmas! All the birds used in the turducken are certified free range so go all out and serve this masterpiece with any one of our homemade condiments. SAGE AND ONION – traditional family favourite of breadcrumbs, freshly diced onions, sage leaves and for that little something extra flat leaf parsley. 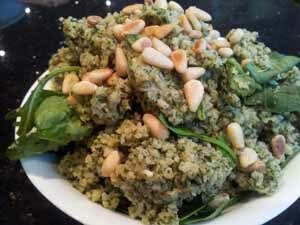 SPINACH AND PINENUTS – a scrumptious option of fine bread crumbs, fresh baby spinach and the crunchy toasted pine nuts (yes, we toast them all). 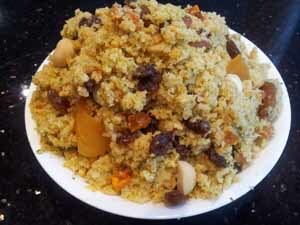 Gluten Free APRICOT AND MACADAMIA – apricots with rich, crunchy, golden roasted macadamia nuts, sultanas, citrus peel & fig. A real treat that compliments turkey fabulously. Also great with duck & goose. CRANBERRY AND CHESTNUT– Fresh cranberries with delicious chestnuts, a scrapping of nutmeg and a pinch of mixed spice. A real taste bud tantaliser. 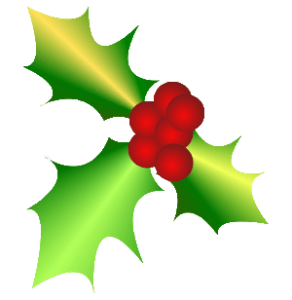 HOMEMADE WHOLE BERRY CRANBERRY SAUCE – a sweet sauce with whole tart berries. 200g. HOMEMADE TURKEY GRAVY – made with our delicious turkey stock, fresh rosemary, onions and peppercorns. Amazing! But do order or you will miss out. 500ml. HOMEMADE TURKEY STOCK – go all out and baste the turkey with its natural juices and a rich flavoursome turkey stock. No preservatives or additives. 500ml. APPLE SAUCE – Whole Granny Smith apples cooked down and pureed smooth as a side for your turkey and also a pork roast. With our signature spices you can’t go past this sweet treat. 200g.